You can buy it directly in hard copy from Zoë herself - who will send her book to you (or to your friend if you're buying it as a gift for someone) and she'll sign it with any special dedication you'd like her to write in it. Alternatively, you can buy it on Amazon in paper back or eBook and Kindle formats. Born an identical twin in the 1940s, Zoe Henderson was born with the gift of intuitive healing. She realised from a very early age that she could psychically ‘read’ people, linking into their past, present and future. "But it was not until my teenage years," Zoe says, "that I realised that this was not the norm. I had thought that my strength of intuition was common to all." Part of the reason that Zoe thought everyone had psychic gifts was that her twin sister, as well as her mother and grandparents, all had similar gifts. The twins grew up in the Scottish countryside, their father was a well-liked local doctor and it was from him that Zoe developed a love of healing people and animals. Years later, she married a pilot and lived in various countries in the Middle East and Asia. She was doing healing and intuitive guidance for people and her reputation quickly spread. Zoë was soon fully booked from morning to night. Zoë works through hands-on healing to bring the body and mind back into good health. As an intuitive, Zoë is in tune with this earthly life but she is also able to link into higher sources of energy. Her guidance is through the angels, to help people understand elements of their past, present and future. "I work with my Angels to guide and help me ‘channel’ the energy and information needed to help the healing process. This allows me to be the vehicle to bring the healing through my hands." Today, Zoe has an international client base and travels around the world to heal animals and people. 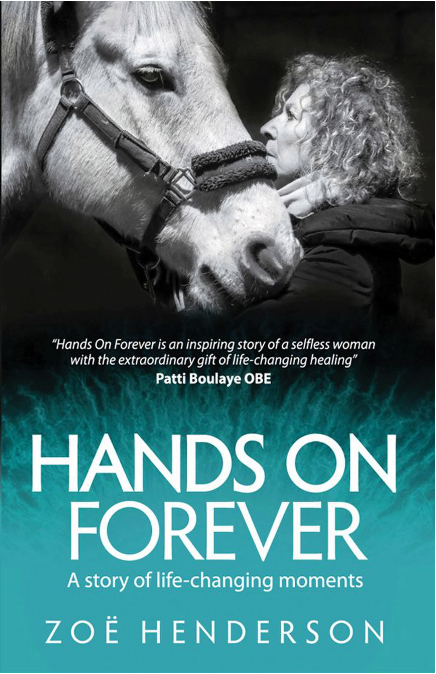 Her book, Hands On Forever, tells the story of her life, her healing gift and her work with the angels.